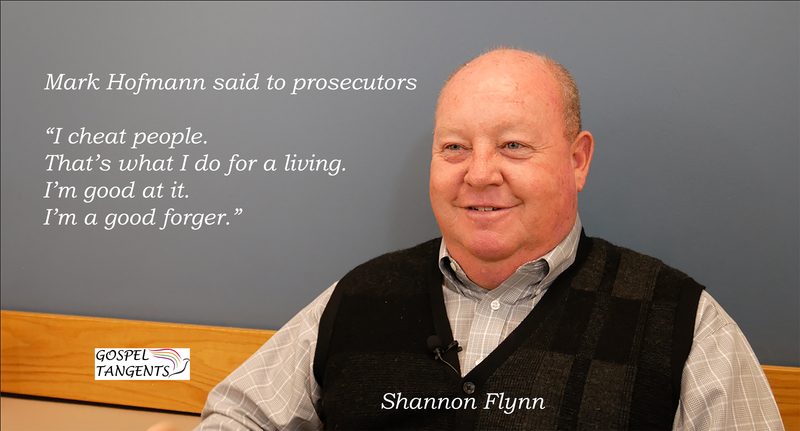 Shannon Flynn worked closely with Mark Hofmann and knows him better than most other people. 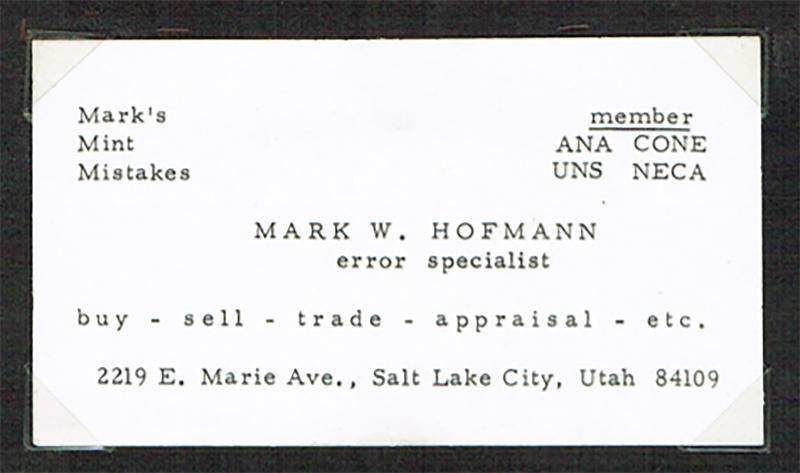 In this conversation, we’ll talk about Hofmann’s Teenage Forgeries. How old was he when he started? Shannon: His first coin forgery was when he was 12 years old. I believe the first time he ever uttered a forgery, in other words other than something for doing himself was when he was 14 years old. He had learned through a process of trial and error how to add mint marks to legitimate coins. He would buy a legitimate coin, maybe a penny or something that had no mint mark on it, and then was able to put a mint mark on it that would significantly increase its value. The penny was real and legitimate. The only thing that wasn’t was just that little mint mark. Don’t forget to check out our Curt Bench Interviews on Mark Hofmann. (See Part 1 here.) Check out our conversation…..
Did Perego write the Gospel Topics Essay on DNA? In January 2014, the LDS Church produced a new Gospel Topics Essay on DNA and the Book of Mormon. I asked Dr. Ugo Perego if he had anything to do with writing that essay. I think you’ll find his answer very interesting. Ugo: I actually took the lead on the project of writing that. I wrote a much more extensive paper which has been published as well in the Interpreter, the online Mormon journal. It’s about 40 pages long and then from that the Church condensed it down to what is the in Gospel Topics today. Some people will say, well if this is doesn’t say—they wanted to keep it short. There are a lot of footnotes. You can go and read more. You have the full article on the other page. There is another article with me in the other article, a more extensive article, and then we have several geneticists, even known Latter-day saint geneticists that I sent the manuscript, and asked, “what do you think about it?” Forget that you don’t know, or you know about the Book of Mormon, but does the story make sense with the genetic context. Am I presenting genetics and the principles in a fair manner, an honest manner? I incorporated their feedback, and then I submitted that to the Church and that’s what we have today. I was the main guy behind it but it was others, even known LDS geneticists that were involved. We’ll also talk about Rodney Meldrum’s claim to have found DNA in Native Americans here in the Americas. Rod Meldrum honestly, the Heartlanders, the people who promote the Book of Mormon geography in North America, and I don’t have a problem if they like to put the Book of Mormon there but as of today, we have absolutely no genetic evidence of their claims. Fortunately they are hammering that nail DNA continually, saying that DNA is proving their theory, but it is not. They can have other good evidence to support their theory but they should not use today DNA. Maybe down the road there will be some new discoveries that will change how we are interpreting the data today, and we might be saying, oh maybe it was Middle Eastern. Maybe we’re going to find X2A in Jerusalem that we never found before, right? But as of today there is no evidence. Critics of the Book of Mormon say this is the nail in the coffin. Rod Meldrum says this is the nail in the coffin for his theory. It depends how you look at it. I honestly think that we are far from using DNA in favor or against the Book of Mormon. Don’t forget to check out Part 1 and Part 2 of our discussion about DNA and the Book of Mormon. Check out our conversation…..